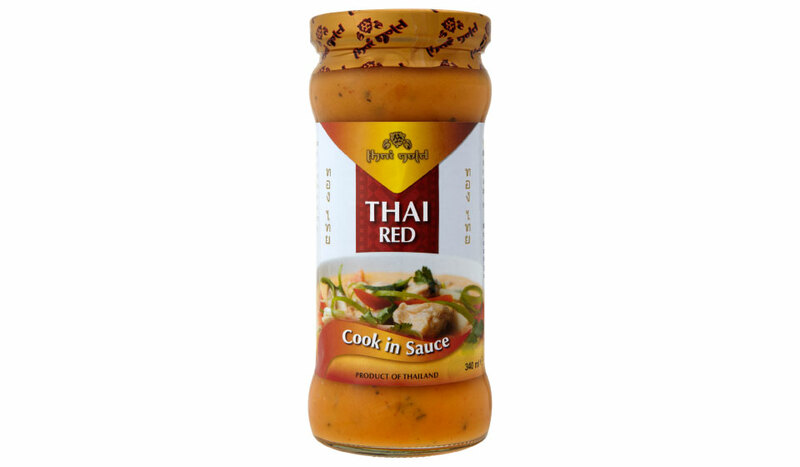 Thai Red?Cook In Sauce is packed full of authentic flavour, with water chestnuts, bamboo shoots and baby corn. There’s also a bit of a kick from the fresh red?chili. Water, Coconut Milk, Bamboo Shoots, Baby Corn, Water Chestnut, Cane Sugar, Red Curry Paste, Nam Plaa (Fish Sauce), Tapioca Starch, Thai Basil, Salt, Fresh Red Chili, Xanthan Gum.